If you are new to the camping lifestyle, the term Car Camping can be a bit confusing. The definition you get will depend in large part on who you ask what Car Camping is. Some folks call camping where you use your automobile as shelter, Car Camping, and we will discuss that in this article. However, it is most widely defined as a form of Base Camping where your gear and you arrive by car but use a tent, RV or other forms of shelter to keep you protected from the elements. Not to sound too obvious, but to go Car Camping you will need a campsite that is accessible by your vehicle. You can find these sites at privately owned Campgrounds, National and State Parks, as well as at free sites where Boondocking or Dispersed Camping is allowed. Car Camping is a great way to enjoy the camping lifestyle while being able to bring with you more creature comforts than if you were backpacking. Depending on your particular vehicle, going camping doesn’t have to mean going without. You may choose a campsite with electricity, running water, and other amenities found at reputable Campgrounds, or you may choose a primitive site. Either way, the ability to bring more gear and supplies with you because you are using your car to transport them will make your experience more comfortable. In most instances, you will be setting up a tent, and we certainly can recommend some great ones, see our article Top Ten Tents. Other options for shelter include Travel Trailers, Pop-Up Campers, Roof Top Tents and on-site cabins. There are also tents designed to be integrated with your car depending upon your vehicle. 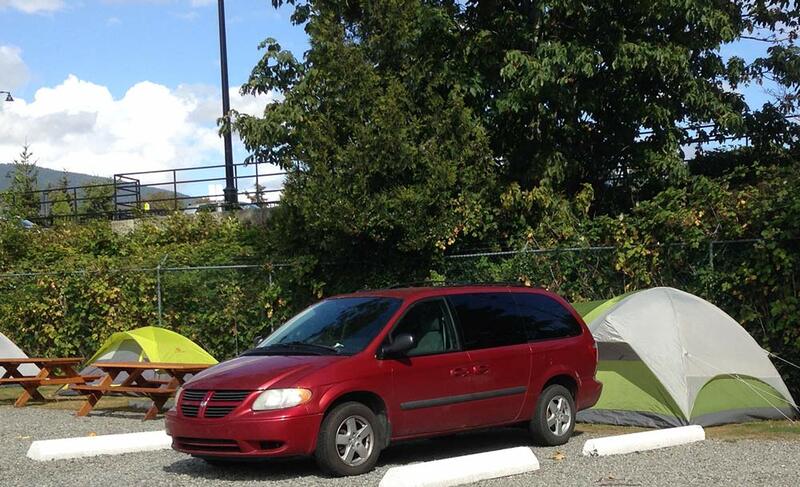 As well, there are those who take Car Camping literally and use their vehicle as their shelter. This is more comfortable for those with vans and larger SUVs. What you decide to use as shelter is up to you. What to bring with you will be determined by how much room you have, how many are in your party, where you are setting up camp, and how long you will be camping for. We recommend adding the following gear and supply items to your packing list. For a complete list of what to bring camping check out our article entitled: What to Bring Camping Checklist. Whatever your Car Camping plans are, we are sure that you will have a wonderful experience enjoying the great outdoors!